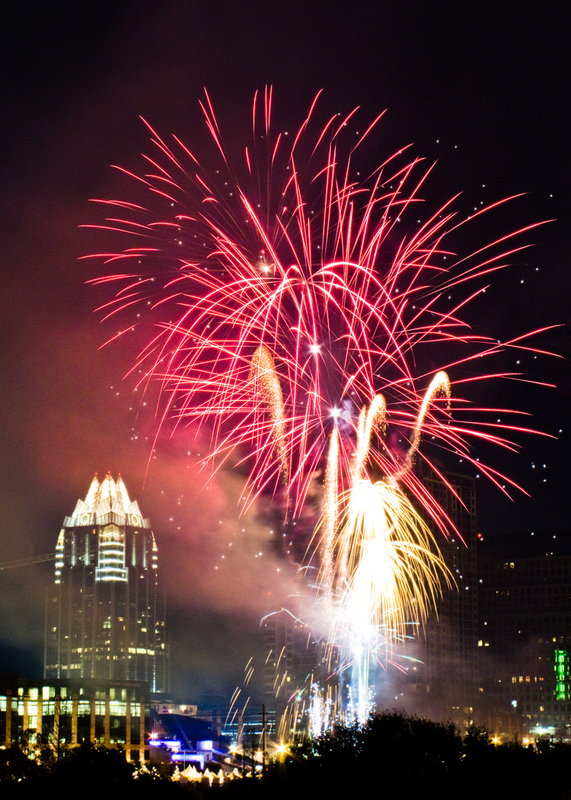 As July 4 approaches, many Austinites have begun to plan their Independence Day activities. 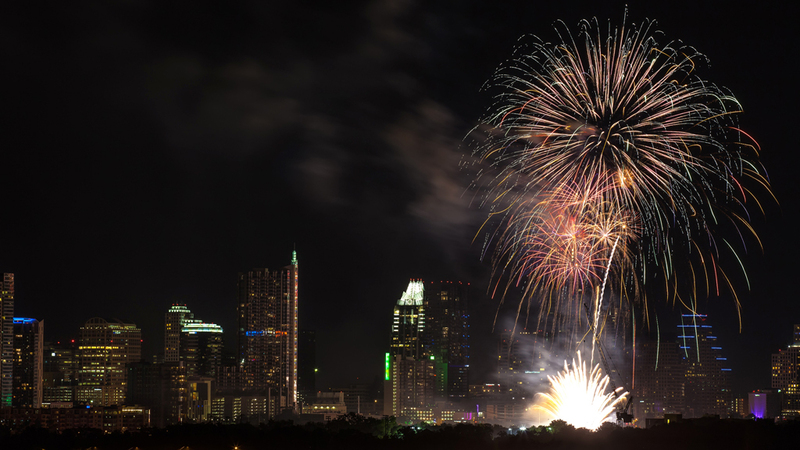 While there are a number of fireworks displays across central Texas, none compare to the magnificent Austin fireworks show put on (almost) every year at Auditorium Shores, hosted this year by H-E-B and the Austin Symphony Orchestra. This post is brought to you by Bark&Zoom and Park&Zoom! When you need mid- to long-term parking near Austin’s airport, they’ve got you covered! Right off of E. 11th Street downtown, the surprisingly small Juniper Street is said to provide a great view of the show, if you can find an open parking space. Photo: Flickr user Joey Parsons, creative commons licensed. 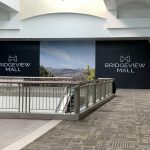 Apart from providing a solid view of the show, we hear that the parking lot at Barton Creek Square Mall is also relatively quiet—sounds perfect for tailgating! 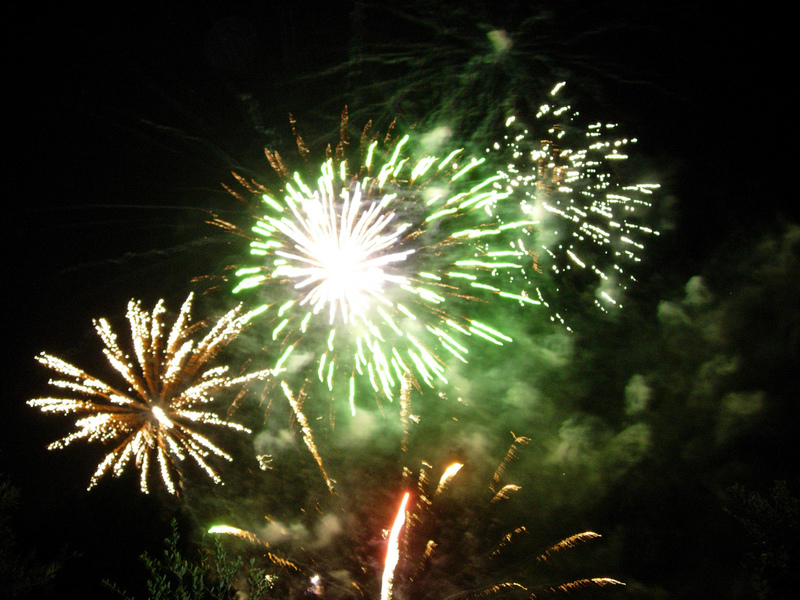 Many downtown bars allow paying customers rooftop access to view the fireworks. 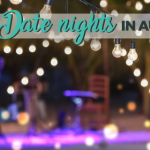 You’ll have tons of venues to choose from, including places like Backbeat or The Market, most of which feature live music in true Austin style. Many bars sell table packages for the best views and drink specials, so give your favorite venue a call ahead of time to see what your options are. Photo: Flickr user Gino, creative commons licensed. It’s recommended that you scout out a location ahead of time at these spots, as the tree cover can be problematic depending upon where you lay your blanket. 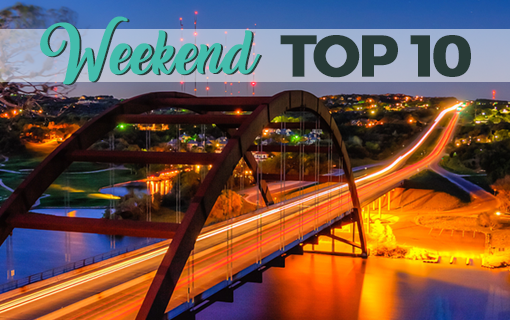 There are still lots of great viewing areas in Austin’s amazing parks, so if you’ve got a favorite give it a shot! Photo: Flickr user jaredten, creative commons licensed. 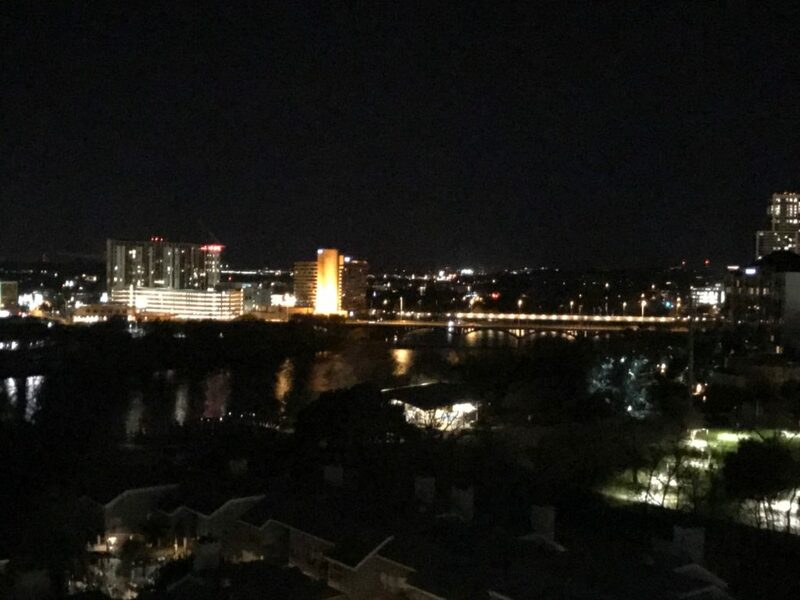 Find a quiet area anywhere along the shoreline on Lady Bird Lake Trail. Don’t be afraid to explore a little to find that perfect spot away from people. Photo: Flickr user Sean Loyless, creative commons licensed. 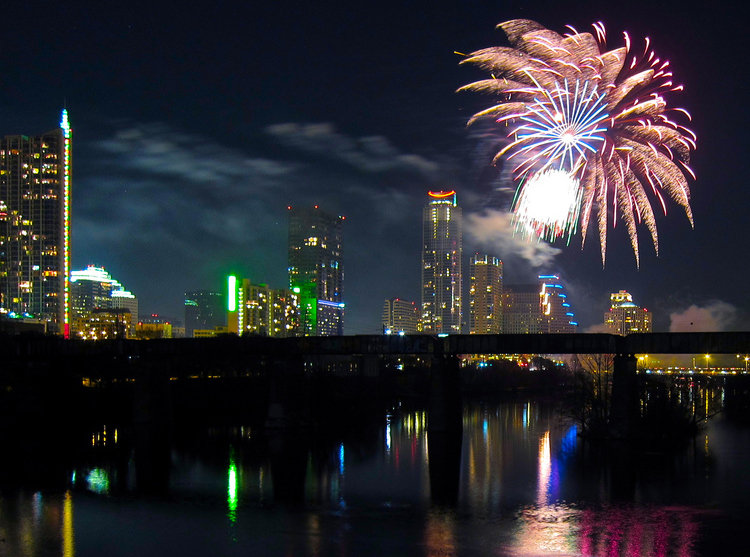 Some downtown parking garages allow tailgaters to watch fireworks from their rooftop levels, for a fee of course. 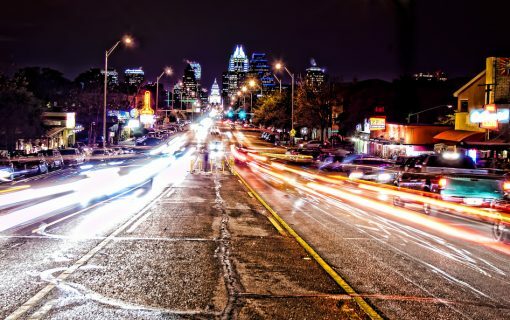 Try the garage near 360 Condominiums or the Chase Bank parking garage at 5th and Guadalupe. Photo: Flickr user NapInterrupted, creative commons licensed. Become a “hilltopper” and watch from the St. Edwards University campus. Take a blanket or chair out to the sports fields, or just commandeer the bleachers. If you live in a condo facing the Lake, or know someone who does, sit out on the balcony for a bird’s eye view. 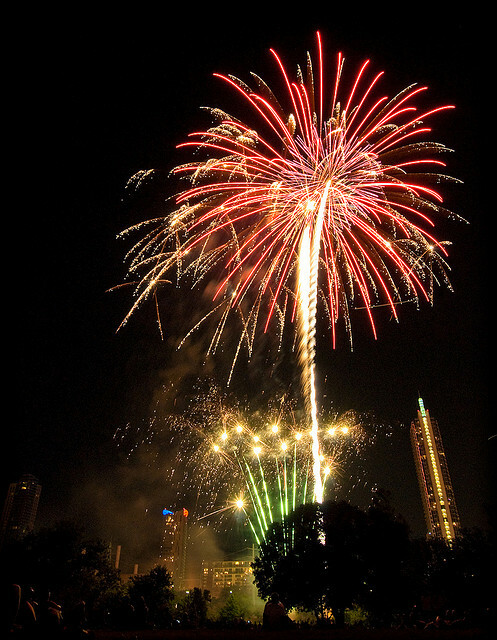 The Austonian and 360 Condominiums both provide breathtaking views. 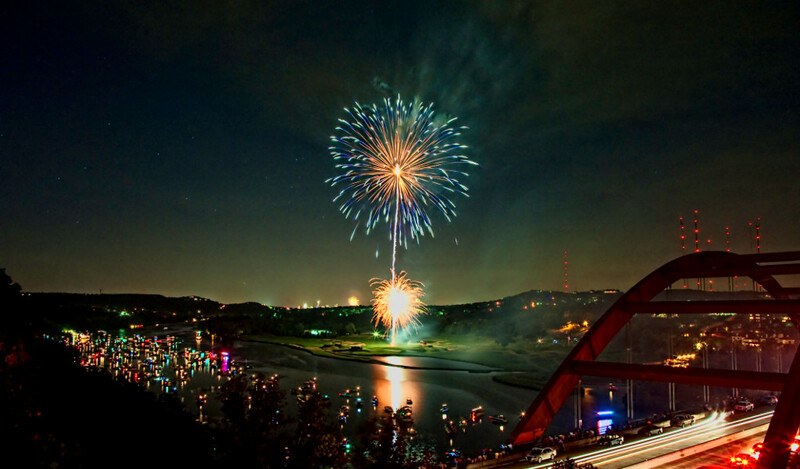 Watch the fireworks from the Congress Avenue Bridge. While the bridge is bound to be crowded, at least you know that 100,000 people won’t be there. The view is so spectacular that you won’t mind standing for the whole show. Some of the best views in the city come with air conditioning, as long as you’re willing to spend some cash. 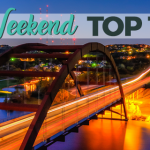 Hotels like JW Marriott and Hotel Van Zandt boast some pretty spectacular looks at the Austin skyline. Just be sure to ask for a room facing the lake when booking (and booking early is probably a good idea). This is also a great option if you’re wanting to hit some surrounding bars afterward and not have to fight with thousands of other people for cabs, ride shares, or parking. 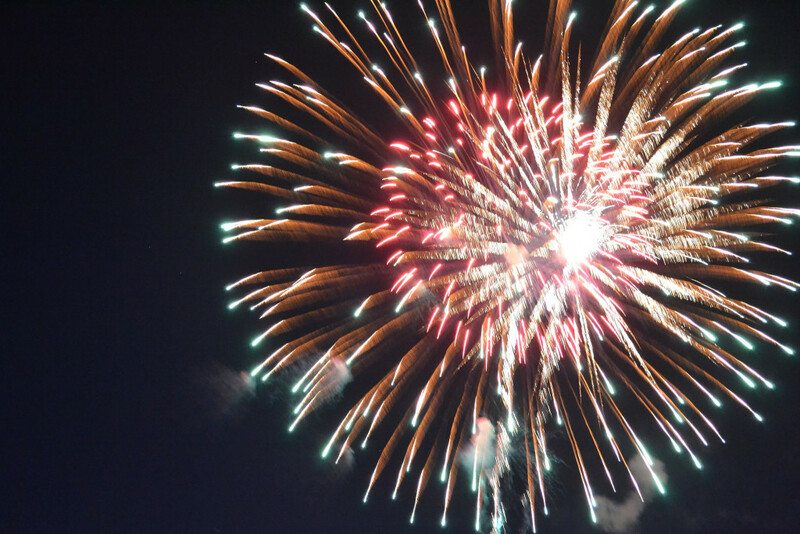 For a truly family-friendly fireworks celebration, the Hill Country Galleria in Bee Cave can’t be beat. 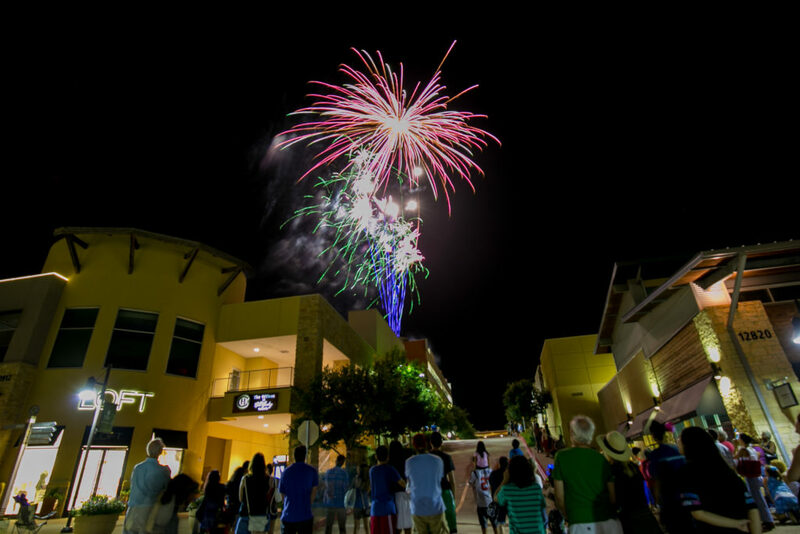 Their annual Independence Day Celebration is free and includes live music, face painting and other kids’ activities, and an all-day sidewalk sale by all of the Galleria retailers. 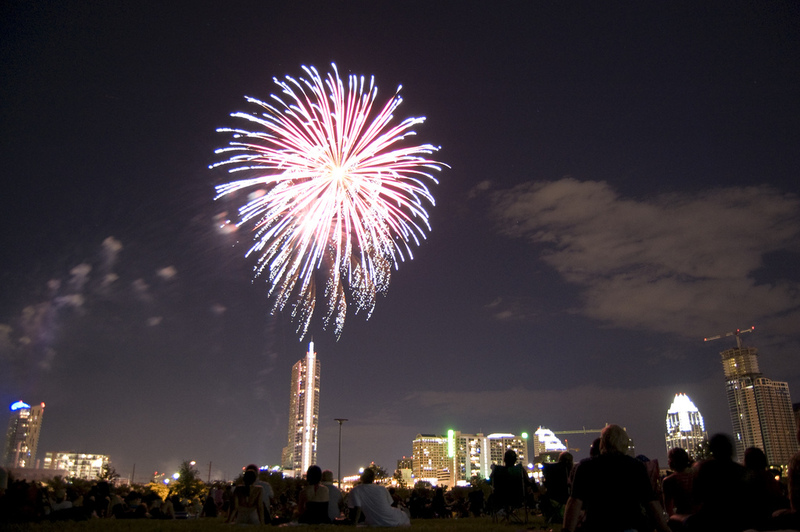 And of course, the centerpiece to the evening, they’ve got what they claim is the “best fireworks show in Central Texas” to end the evening (starting at 9 p.m.). 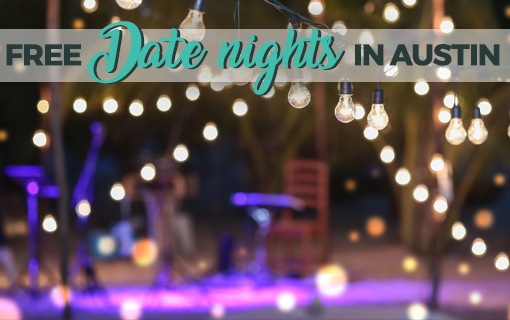 Guests are encouraged to bring chairs or blankets and enjoy live music beginning at 6:30 p.m. Parking for the event is free. 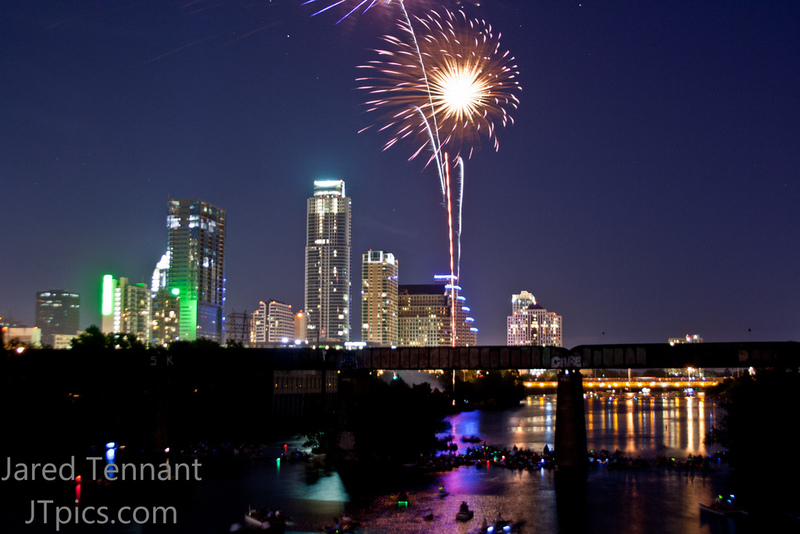 This is the best way to watch the Auditorium Shores fireworks, hands down: Rent a canoe, kayak, or paddle board from a spot like the Rowing Dock or another rental company by the lake, and launch either from the north side of the lake and row to S. First Street or launch from the south side and row to Lamar. 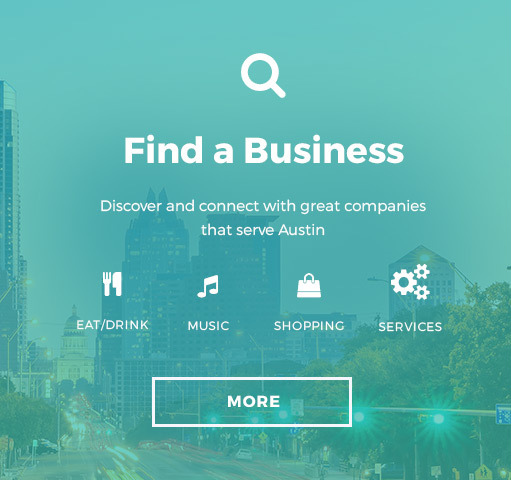 If you’d rather not do this alone, hook up with a community group like Hill Country Outdoors. Alternatively, you could always catch a leisurely ride on a Lone Star Riverboat, if paddling or possibly falling in isn’t on your agenda. *Note: The photos above don’t necessarily show the view you’ll get from any of the locations listed. 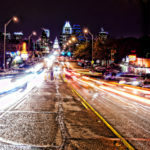 Also, since these are all collected responses from Austin Internet users and the wisdom of our team members, let’s just agree that the author(s) of this piece won’t be held responsible if the spot you pick turns out to be crowded. Go early, people! Featured photo: Flickr user Gino, creative commons licensed.